In this special remastered collection of all-time favorite Christmas episodes, the gang in Odyssey makes another round of exciting discoveries just in time for the holidays. 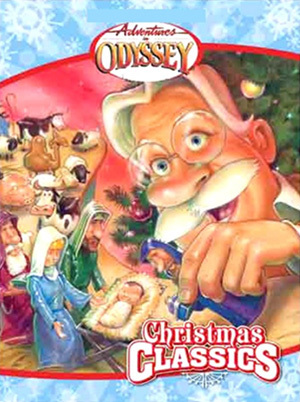 Adventures in Odyssey's Christmas Classics touches on beloved, meaningful themes--giving, compassion, and sacrifice - that underscore the fun of the season. From familiar friends like the Barclays to wacky newcomers (i.e. Wooton), this collection truly ushers in the Christmas cheer. Our stroll through the audio show's archives also includes the only episode ever translated into Spanish, "Los Visitantes" ("The Visitors"). A nativity display at Odyssey's City Hall sparks a controversy over the "separation of church and state." 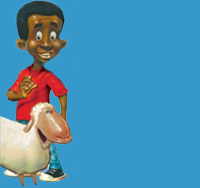 And when Whit and the gang discover who's to blame, should they forget the whole thing or get even? Sing along with your favorite songs! Whit, Connie and others go caroling around the town of Odyssey, bringing season's greetings and good cheer to special friends. It's a musical delight for the whole family, with both traditional and new songs that'll warm your heart. Do you like Christmas, but find yourself too busy to enjoy it? Whit helps Courtney reorder her priorities with an adventure through time in the Imagination Station! Learn more about Christmas through a series of visits to Bethlehem, the Middle Ages, and Dickens' England! Whit reads a letter from Mary Barclay that discusses how discouraged George Barclay is in Pokenberry Falls. Things are so bad he is considering quitting the pastorate. Whit and Eugene decide to visit the Barclays over the holidays as an encouragement to George and while doing so have a few surprises to give and receive! Trees, stockings, twinkly lights and - oh yeah - St. Nicholas - are all part of the Christmas festivities! But why? The BTV gang is out on the streets once again to bring you the facts about our holiday traditions. Be listening for a fun-filled half hour of Yuletide history and humor - along with a few surprise visitors.